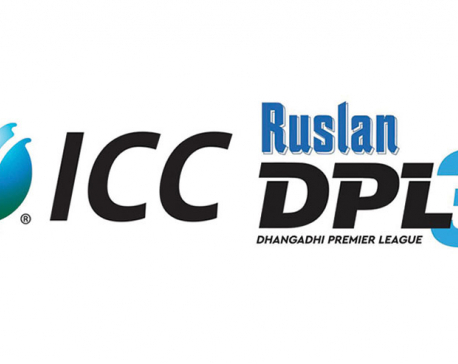 KATHMANDU, Feb 12: Rupandehi Challengers has inflicted a five-wicket defeat on Biratnagar Kings at their fourth match of Dhangadhi Premier League held at Fapla Cricket Ground in Dhangadhi on Tuesday. Chasing the target of 94 runs, Rupandehi Challengers achieved it in 13.1 overs losing five wickets. Puneet Mehara top-scored with 46 runs including two fours and four sixes off 27 balls, Babar Hayat made 17 runs including one four and one six off 23 balls. Similarly, Bhim Sharki contributed 12 runs while the other batsmen could not reach double-digit runs. In reply, Avinash Yadav took highest two wickets of Biratnagar giving away 16 runs in four overs. 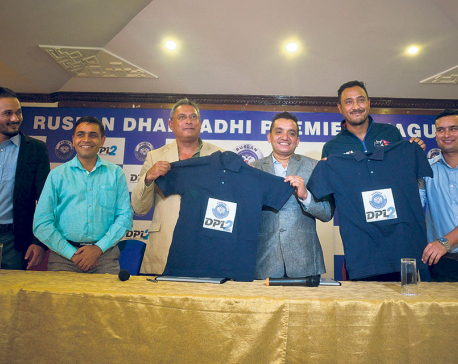 Samsad Sheikh, Susan Bhari and Karan KC grabbed one wicket each for Dhangadhi. 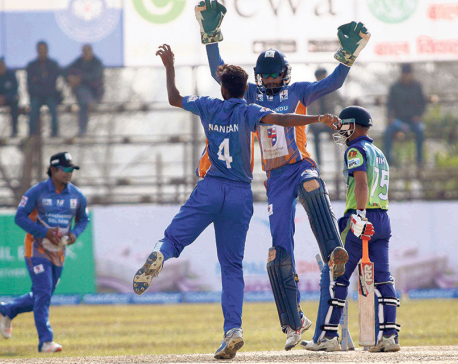 Earlier, electing to bat first after losing the toss, Biratnagar had set a target of 94 runs for Rupandehi in the allotted 20 overs at the cost of nine wickets. Rajesh Pulami scored highest 17 runs including one wicket off 14 balls, Asadullah Khan collected 16 runs off 12 balls while K Bhurtel made 12 runs off 17 balls for Biratnagar. In reply, Puneet Mehara grabbed highest three wickets of Biratagar, B Regmi and SL Bhandari took two wickets each while Bikram Sob and LS Bhandari took one wicket each.